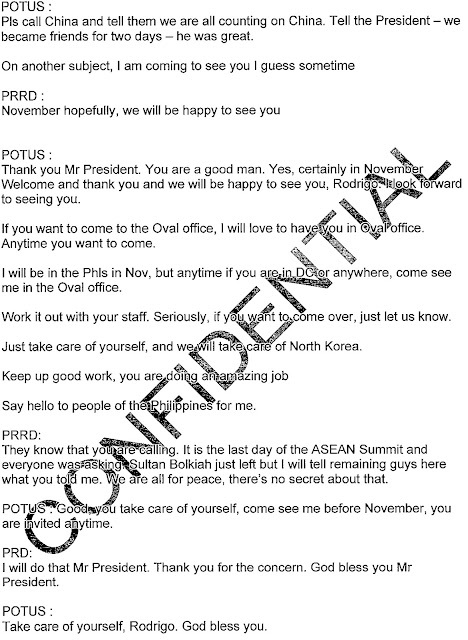 About a month ago Trump invited Philippines President Rodrigo Duterte to the White House. Little else was known at the time, but it seemed odd that he would be inviting a man who proudly admits to killing thousands in a shoot-first, check-for-evidence-later drug war. Duterte later declined but the damage to the image of the country was already done. 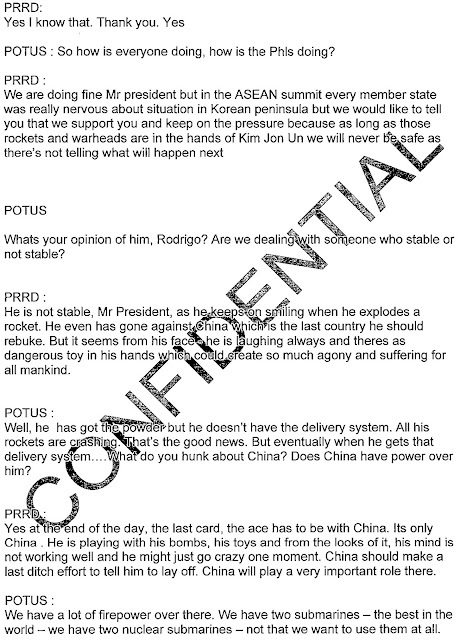 This week, in the midst of Duterte declaring martial law, a transcript of their exchange leaked. Please note that there are some formatting issues and misspellings, so please ignore the apparent typos. Part I. In which Trump finds some similarities between Duterte and himself in that neither one sleeps much and neither one likes drug users. Note how casually Trump agrees with Duterte that drug use is the scourge of the two nations. Of course, Trump isn't joking here. He and Sessions have reignited the drug war here in the US. Part II. 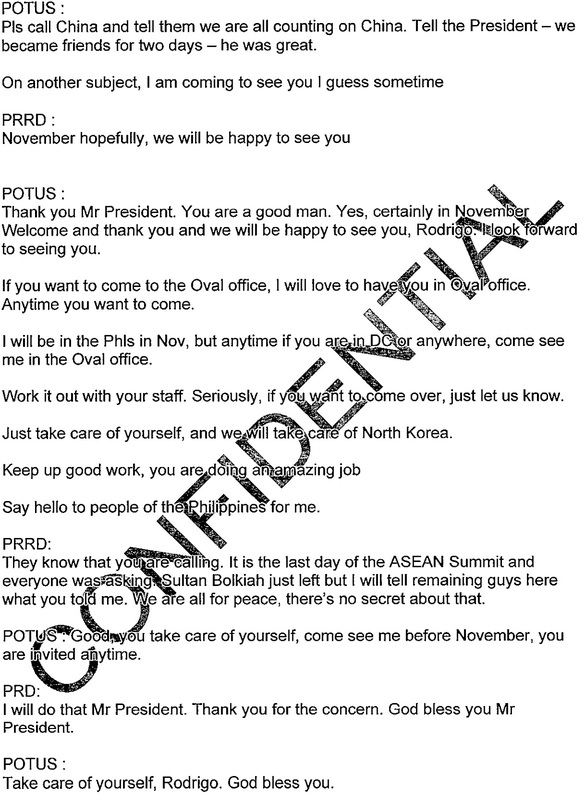 In which Trump now trusts Duterte enough to share national secrets. Did you catch that? Trump told Duterte that we had two nuclear submarines off the coast of North Korea. This is the second classified leak we've found out about in the last two weeks. Part III. 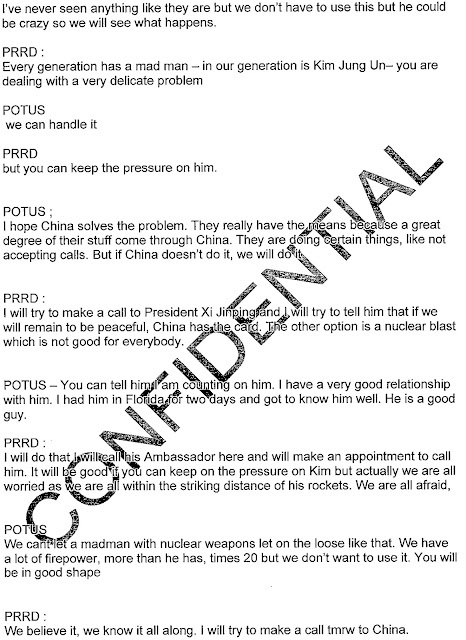 In which Trump and Duterte find another commonality -- they both think Kim Jung Un is crazy. I think the pot and the kettle are both calling the wok black. 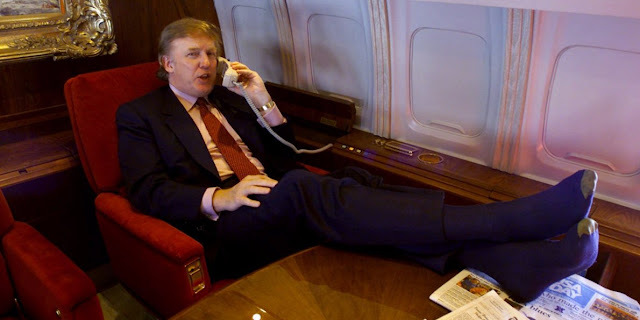 Trump is above all else, lazy. But in a close second you'll find that he hates having to beg. So if he can outsource his China begging to Duterte, he will do that -- even if it means a campaign to normalize Duterte in the eyes of the world. Part IV. 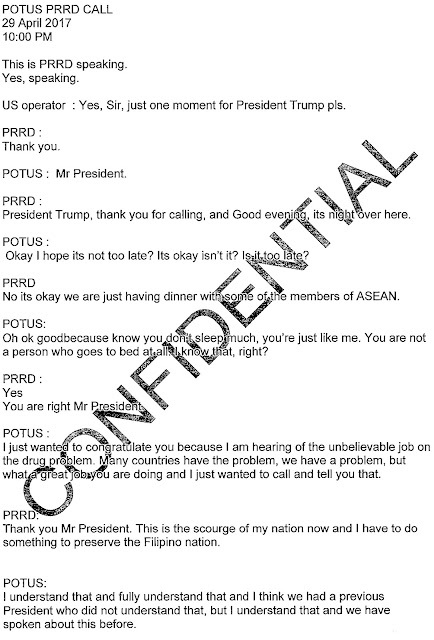 In which Trump and Duterte plan out how to continue this illicit affair. Where will they be when Trump visits the Philippines. What about when Duterte visits DC? Yes, God bless you both... You murderous despots.